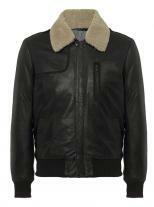 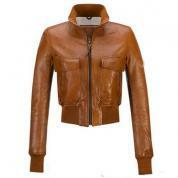 This short brown leather Bomber jacket is meant for the contemporary woman who has elegance and class. 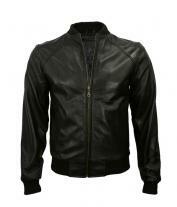 Engineered with fine quality leather, this chic bomber jacket has lovely stand up collar with buckled closure that drops down to a concealed zipper. 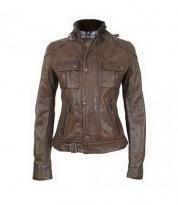 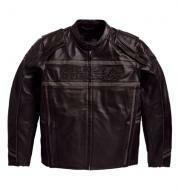 The front flap closure has 3 buttons that conclude into an adjustable buckled waist. 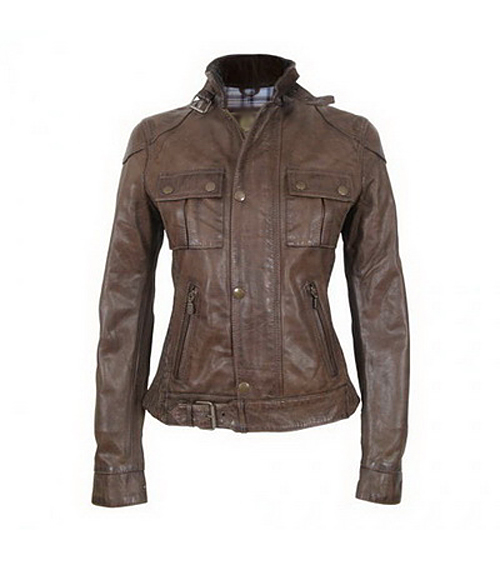 Two stylish sleeve line patch pockets and bottom side slit pockets gives it a perfect grace.